History, Culture And Adventure - Coimbatore is a Treasure Trove For Travel Enthusiasts. From historical temples to modern buildings, picturesque mountains to cascading waterfalls, from delectable cuisines to a pleasant weather throughout the year, Coimbatore is a great place to pick if you want to unwind – even if just for two days. Being one of the largest city of Tamil Nadu, there are innumerable things that you can see and do here. This may surprise you, but trekking and camping are two things that you must try in Coimbatore. There are numerous trekking trails in and around Coimbatore that will give a boost to your adrenaline and at the same time instils a certain calmness when you set eyes on the scenic views of the hills. Some of the most famous trekking trails in Coimbatore include Dhoni Hills, Perumal Peak, Vellari Mala, and Thalaiyar Falls. If that’s not enough for the adventure junkie in you, you can enjoy thrilling rides at Black Thunder Amusement Park. A theme based amusement park, it’s spread across 75 acres of land, blanketed by the green hills of Nilgiris. There are around 49 thrilling rides for all age group making it a perfect place to spend quality time with your friends, family, and kids. Then of course, you have got to do the most important thing here – stop by an authentic restaurant and relish the traditional South Indian dishes along with some innovative western cuisines. Some of the best restaurants in Coimbatore that serve the best local cuisine are Haribhavanam, Yari, Bird On Tree, and Shree Anandhaas. To enjoy nightlife, you can head to ALS Club, Tease, and Underworld. Coimbatore is also called the ‘Manchester Of South India’ and to find out the reason, you must head to the Textile Museum. This historical museum displays the growth of the textile industry from the era of spinning wheel to the modern-day sewing machines – a must visit especially for history buffs. You can also consider going on a wildlife safari to Indira Gandhi Wildlife Sanctuary to witness nature and wildlife at its best. 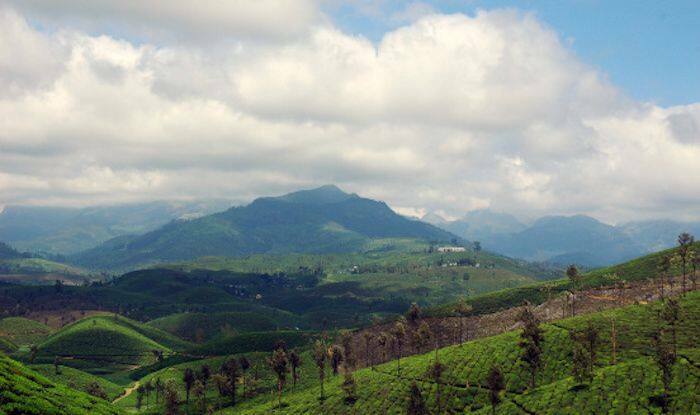 Located in the Anamalai mountain range, covered with dense forest, and inhabited by various species of plants and animals, this protected area is one of the best places near Coimbatore to enjoy some time amidst wilderness. After you’ve done everything else, catch a gorgeous sunset at the Valankulam Lake. You may spot birds such as little grebes, and purple moorhen flying over the lake.